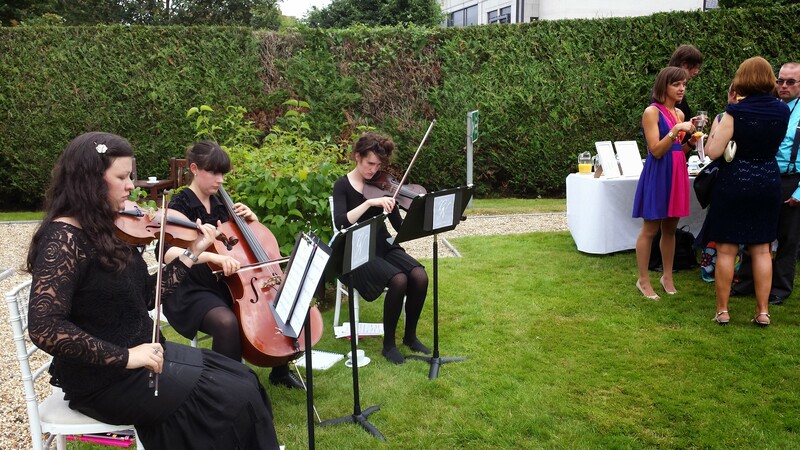 What a lovely Summer we are having for weddings! I sang and played last Friday with 7 wonderful singers creating the University Church Chamber Choir accompanied by William Woods. 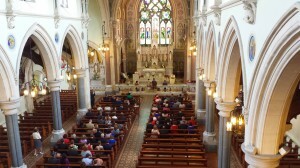 The atmosphere was vibrant throughout the ceremony and the church looked beautiful with sunlight streaming in the windows. Our repertoire included Mendelssohn’s – Lift thine eyes and Salut D’amour – Elgar with a mix of Nick Drake’s – Northern Sky (performed by an excellent guitar and piano duo!) It was an eclectic mix to say the least! 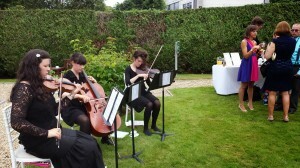 Another beautiful wedding of Emma and Nicholas in University Church, Dublin was performed by Grace Notes String Trio. 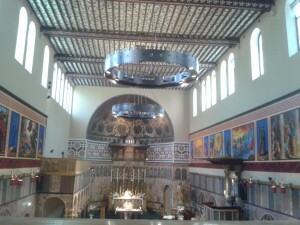 We sat under the ‘Golden Balcony’ and the resonance was perfect. Complete with no less than 8 bridesmaids! The ceremony included music ranging from Schubert’s Ave Maria to The Beatles – All you need is love! In the historic Trim Town we performed at another wedding of Anna Louise and Dave. The repertoire included the magical Adagio for Strings by Samuel Barber and the all time classic Nella Fantasia, sung beautifully by Hannah Evans. I also gathered quite a lot of new popular music this Summer! Happy- Will Pharrell and All of me – John Legend are my two newbie favourites.